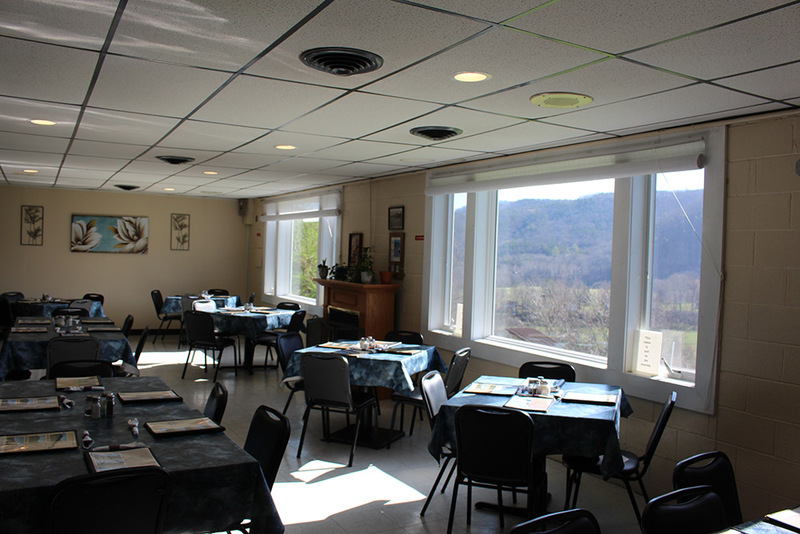 There are no televisions at Mountain View, just a simple dining room out in the country to enjoy great food with friends and family, with a view of the mountains and the valley below. From Roanoke: take I 81 South to exit 128 (Ironto). At top of ramp make a right onto North Fork Road. Restaurant is 4 miles on left. From Christiansburg: take 460 North to a right on Jennelle Road at Holiday Ford automobile dealership. Follow Jennelle Road until you cross over the railroad tracks, continue on road to Food Time and make a right on Den Hill Road. Make left on North Fork Road, restaurant is approximately 2 miles on the right. From Blacksburg: travel south on South Main Street. Just past Wendy's make a left at the traffic light onto Ellet Road, which becomes Cedar Run Road. Follow Cedar Run Road to the end. Make a left on Jennelle Road over the railroad tracks. Follow Jennelle Road to Food Time and make a right on Den Hill Road. Make a left on North Fork Road, restaurant is approximately 2 miles on the right.